Did you know that The Fixer travels widely in Brisbane and Ipswich to fix windscreens? Did you know, too, that The Fixer contribute their resources from truck and car windscreens widely to community programs and charities? We believe very strongly in helping local and international community programs and charities. A community funded charitable company, which is a not-for-profit, interdenominational organisation that is having a national impact with influencing ‘youth at risk’. VITAL ProJeX founding directors have more than 100 years of combined experience, focused on what can produce the best and quickest outcomes for disadvantaged young people and their families. It responsibly cares for young people and multiplies its effectiveness through training mentors and carers of youth, through Action Based Learning Principles and basic Christian values, focused on their practical application to the individuals’ need. Headed by a board of directors and management team, both being made up of men and women of experience from the business and community sector . Aim: To provide alternatives of hope to troubled youth (all types) through preventative and reactive needs based programs. Based on quickly creating emotionally safe environments of respectful, supportive relationships and developmental opportunities to provide growth as a whole person (mentally, socially, physically, emotionally and spiritually) to become productive members of their communities. This organisation is dedicated to releasing children from spiritual, physical, economic and social poverty and helping them reach their FULL potential to become responsible and fulfilled adults. Founded by Rev. Everett Swanson in 1952, Compassion began providing Korean war orphans with food, shelter, education and health care and Christian training. Today, Compassion helps more than 800,000 children in more than 24 countries. We would like to encourage you to get involved. Visit Compassion International’s website. The Grace Centre project is an integrated, holistic Christian approach for meeting the needs of a broad range of children. Children of all ethnic and religious backgrounds will be accepted, based only upon the recognized genuine need of the family.Over the past 40 years, families in Ethiopia have suffered drought, famine, civil war and more recently the AIDS epidemic. Families have been stripped of their wage earners, and traditional multi-generational support. Infant mortality is high (16.5%) and literacy low (less than 30%). Grace Children’s Centres aim to work together with families to improve the lives of their children to give them the opportunity to grow into adults who can change the world in a positive way. We have 22,500 staff members working in 96 countries. For six decades, World Vision has been engaging people to work towards eliminating poverty and its causes. World Vision is committed to the poor because we are Christian. We work with people of all cultures, faiths and genders to achieve transformation. We do this through relief and development, policy advocacy and change, collaboration, education about poverty, and emphasis on personal growth, social justice and spiritual values. transformational development, which is the phrase we use to describe a holistic approach to improving the lives of the poor by recognising people’s physical, social, spiritual, economic and political needs. Christian engagement by example – we oppose proselytism and coercion of any kind. We’re committed to best-practice corporate governance processes, to efficiency and effectiveness, to preventing the exploitation of the people we serve, and to engaging the corporate sector as well as the public. Relief work can be short-term, while rehabilitation and development may last up to ten years. While we might initiate a project or be invited, our work is always dependent on the consent of the communities involved. For some years, our approach has been to undertake projects involving clusters of communities, empowering people to become self-reliant through a range of activities that may include health improvements, agricultural training, small business workshops and leadership development. In consultation with the community, priorities are identified, a project designed and a budget prepared. World Vision is only a partner in this process: we provide a safety net, technical support and finance. It is people themselves working towards their own development. if you would like to also support World Vision just click on this link www.worldvision.com.au . 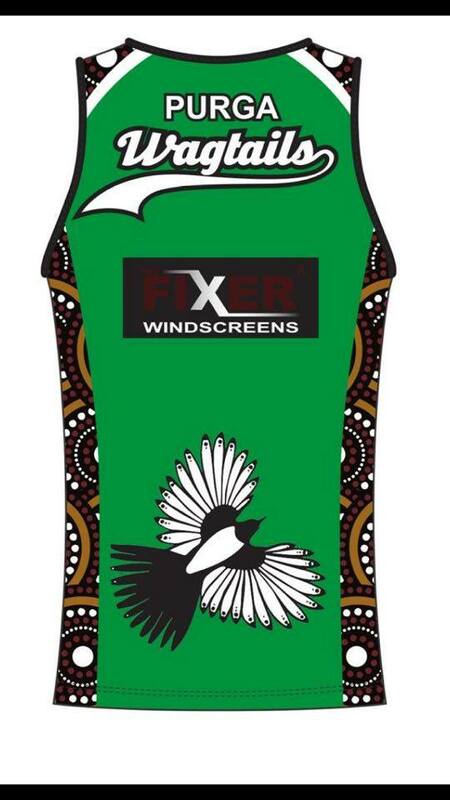 The Fixer Windscreens is proud to be a major sponsor of the Purga Wagtails indigenous football team. The Purga Wagtails is a Queensland based indigenous sporting team. The Purga Wagtails have competed in rugby league, rugby union, touch football and sevens rugby union competition all around Australia. and many more.The name Purga originates from pur pur, aYuggera word meaning meeting place. As such,Purga is an inclusive place, open to all who enterin peace and with respect for Purga Elders,Aboriginal people, and the spiritual, cultural,historical and natural values of this land. As a meeting place, Purga is consecrated by the Purga Elders to be a sanctuary where all can come free from fear. It is a meeting place which prohibits violence, alcohol and drugs. to find out more go to www.facebook.com/purgawagtails. As The Fixer grows, we will look for more opportunities to support the disadvantaged both locally and internationally.